This volume is a single up-to-date source on the entire global epidemiology of diseases, injuries and risk factors with a comprehensive statement of methods and a complete presentation of results. It includes refined methods to assess data, ensure epidemiological consistency, and summarize the disease burden. 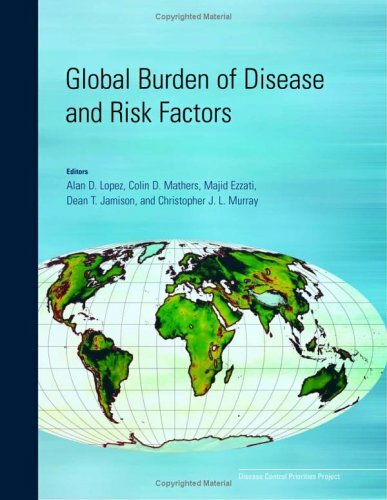 Global Burden of Disease and Risk Factors examines the comparative importance of diseases, injuries, and risk factors; it incorporates a range of new data sources to develop consistent estimates of incidence, prevalence, severity and duration, and mortality for 136 major diseases and injuries. The debate rages on over how to cope with the rising costs of medical care. The authors look at three key elements of health care costs and offer thoughtful, realistic suggestions to help stem the tide of rising expenses for everyone. This book is as bold and ambitious in scope as its title promises. Original essays written by some of the premier scholars of our times examine world health and survival in the 21st century. An awakening perspective from global leaders.